Vaccination. The debate is everywhere. There are parents who are so against them that they believe anyone who administers them to their child is committing abuse. And there are those who are so for them that they are willing to tackle children in the street and administer them by force. I’m not going to talk with you today about what I think you should do. Honestly, that isn’t up to me. However I personally feel about it, I really don’t think I have the right to stick myself between you and your doctor. I DO encourage you to ask your doctor all the questions you may have about vaccination. Don’t be shy. Don’t feel like you’re taking up too much of your doctors time. That’s their job. I AM interested, though, in talking about why there is such a debate over this. I know I’m stepping a bit outside the normal kinds of posts I do here and I hope you’ll bear with me and feel free to chime in with your own experience and thoughts on this. By and large, I’m convinced that our doctors really are amazing people who want to help. They have a goal each day to first, do no harm and second, help where they can. The tools and techniques available to today’s medical professionals is nothing short of miraculous. That said, I do have personal experience with doctors who do just enough to make their money. One doctor in particular simply listened to the bare minimum of your symptoms and immediately started writing a prescription. There were representatives from pharmaceutical companies sitting in his waiting room nearly every time I had to go in. They would hand over a sack full of sample pills, some company sponsored research papers, brochures and pamphlets and they’d smile and wave and thank him. Why? Because he’d use up those samples and then keep prescribing them. I will say here that I don’t know what that doctor did in his spare time. Maybe he really did go research these medications and he really did think they were a benefit to his patients. But on more than one occasion, I ran into issues where his prescription for me was dangerous to me, or a nursing infant or even an unborn child while I was pregnant. He told me to just ask the pharmacist if it was okay. If THIS was the doctor who was telling me that vaccines are safe and when I should give them to my children, you can bet I would have been very very scared to listen to him. Of course I would have questioned his knowledge on the subject, gone and done my own research and considered myself more informed than he on the topic. If you can’t trust your doctor, you can’t trust his advice. Fortunately, the doctor in charge of my children was amazing. He obviously did his own research. He gladly spoke with me about every recommendation and answered all my concerns. If I wasn’t comfortable with something he’d either convince me if he felt strongly about it or he would tell me he understood why I was making that decision and that it was okay. He never made me feel like his choice was because he could bill my insurance company for it. So the biggest advice I have for you about vaccinations is … find yourself a doctor you can really trust. (This list might be a good place to start) Find someone who will listen to you, work with you, explain to you, decide with you. Someone who cares enough to keep up with the latest real research and can help you make the right choices for your children. Can We Trust The Pharmaceutical Companies? I hesitate to mention this because I can quickly come out of this looking like a crazy conspiracy theorist, so I’ll be brief here. But it’s really important to note that pharmaceutical companies are completely insulated from consequences where vaccines are concerned. The intentions behind setting the system up the way it is may have been good, but the consequence of this is that we simply can not trust these companies. They may well be doing everything they possibly can to keep our children safe and healthy. They may well be completely honest in every word they share with us about vaccination. But I, as a mom trying to navigate these choices, simply can not trust a system with no accountability. If you are staunchly in the camp that believes in mandatory vaccination for all children and you have trouble understanding why anyone would oppose you, it isn’t that we want our kids or your kids to contract some horrible disease. I’ve seen moms say that to other moms, and I’ve seen doctors belittle the concerns of parents based on this premise. Parents who question this are not monsters. They simply have a really hard time trusting doctors and pharmaceutical companies to have the best interests of their children at heart. It really is all a matter of trust. What Does Mother’s Day Mean To You, Mama! Probably in the minority here, but this is mho. My kids are vaccinated because I’ve older family members who have suffered the effects of pre-vaccine times including an aunt with polio, 3rd cousin sterilized b/c of mumps. I also do it to protect those who are to medically fragile like my mom & mil who both are cancer survivors. I did a modified vaccination schedule when they were younger. I was lucky I guess because my dr respected my wishes. 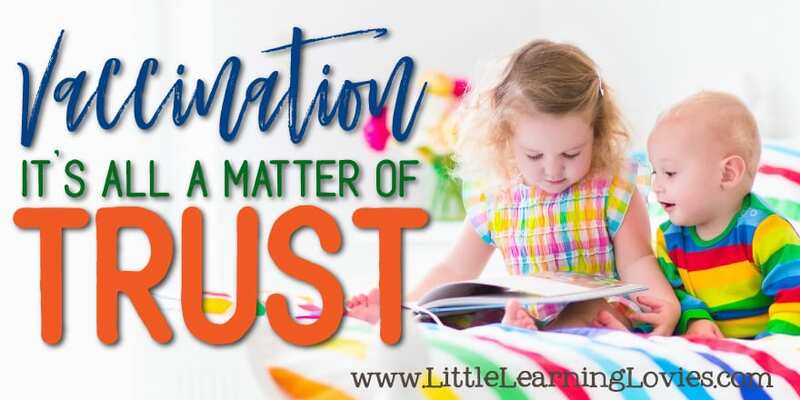 While trust is important, I can not trust my doctor that pushes vaccinations especially on my daughter with an auto-immune disease and with a husband at home that can acquire things too easily due to Addison’s disease. I appreciate the informative post and hope that parents will do extra research before allowing immunizations to damage their children. Not all my children have reacted significantly but with a MTHFR mutation likely for all of them and one with a significant speech loss (resolved) and learning delays still at 10 I hope to avoid further exposures to the preservatives and other items in vaccinations that I find questionable. There are many things to consider in vaccinations for each family. Research before regret. Get an insert from the vaccines and research every ingredient if you need to. I don’t think it’s all a matter of trust. Even if your Dr. is nice and believes in them, it doesn’t mean they are safe. My son reacted to a vaccine and went from being an active, interactive baby to a baby with almost no interaction. His development was affected severely. It was awful. None of our other children have been vaccinated. We’re in Northern Ontario, vaccinations are administered by the Public Health Nurse here. We started vaccinating our son and stopped when he was a just over a year old. We made it very clear that we didn’t want him to receive certain shots, they agreed that they wouldn’t give them to him, after he was given his needles and we where handed back the immunization record they had indeed gone ahead and gave him the vaccinations that we told them we didn’t want. Oh, Deborah! I’m so very sorry that happened to you! What a terrible experience, and one that doesn’t garner much trust! Our world is full of people who think they know best. 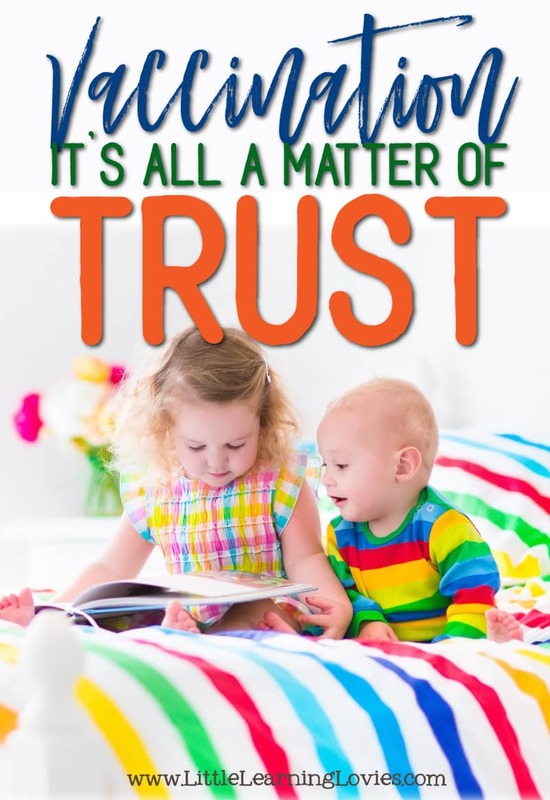 I agree it is all a matter of trust. For me my doctor supported my wishes and did not attempt to convince me of anything which spoke volumes. I have no trust in pharmaceutical companies..not even a drop, and there is not a thing that can be done to change that. Their products, in my opinion, are for life saving measures in critical care situations, not for prevention. We take full responsibility in our house for our health, I am a clinical herbalist and always utilizing healthy and natural alternatives. We steer clean of man made products in our diet and we educate our children from the very beginning about their immune system, what knocks it down and what builds it back up. My kids go to school with their affidavits here in Ontario exempting them from vaccines. There are no issues other than them being kept away from school in the event of an outbreak they are unvaccinated against. I never send them to school Sick, and past the age of 5 they are rarely Sick anyhow. If their body reacts to something it is a day of rest and recoup at home and after 24 hours they are good as new. Thank you for highlighting the trust issue. I trust myself and my training and do my due diligence.